The UN Security Council on Tuesday told the Central African Republic that it must make progress in reintegrating rebels into the security forces as a condition to review an arms embargo. In a unanimous statement, the council said it would review the ban on arms sales if progress is made in disarming the rebel groups following a peace deal signed in February. 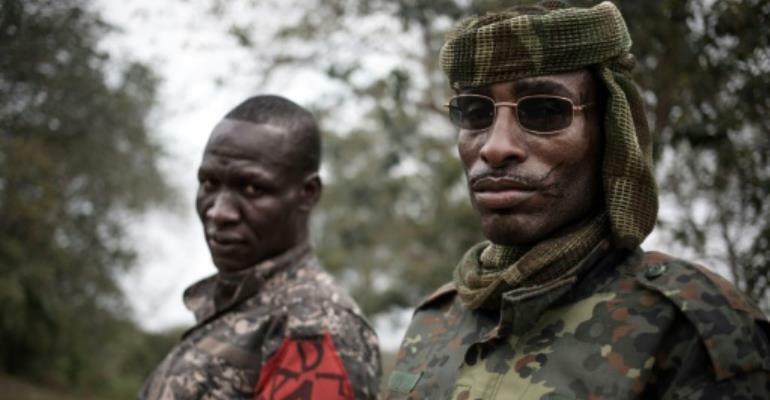 The United Nations arms embargo was imposed in 2013 when the country descended into bloodletting after President Francois Bozize, a Christian, was overthrown by mainly Muslim Seleka rebels. The government has repeatedly asked that the embargo be lifted to allow its poorly-equipped forces to be armed and assert state authority across the country. The French-drafted council statement calls for progress by the government in pushing through a national program that will allow for the disarming and "reintegration of former members of armed groups... into all uniformed personnel." The measure also called on the government to improve storage and tracking of weapons and ammunition and to enact measures to tighten control over light arms. The Bangui government is to report to the council in June on progress achieved in disarmament, reintegration and arms control, which will be followed a month later by a UN report to assess the changes. The council will then carry out a review of the arms embargo by September if CAR meets the series of benchmarks. CAR has been struggling to recover from the 2013 bloodletting despite elections that brought President Faustin-Archange Touadera to power.